Teaching has historically been described as an “unstaged occupation,” with few opportunities to access higher earning and higher status positions. The main opportunity for career advancement for teachers is leaving the classroom to become a school administrator. This report offers a new vision of teacher career pathways that holds promise for recruiting and retaining excellent teachers who further student learning, providing consistent access to excellent teachers. With half of the nation’s teachers planning to retire over the next decade, our research focuses on identifying practices that make teaching attractive for a new generation of educators. 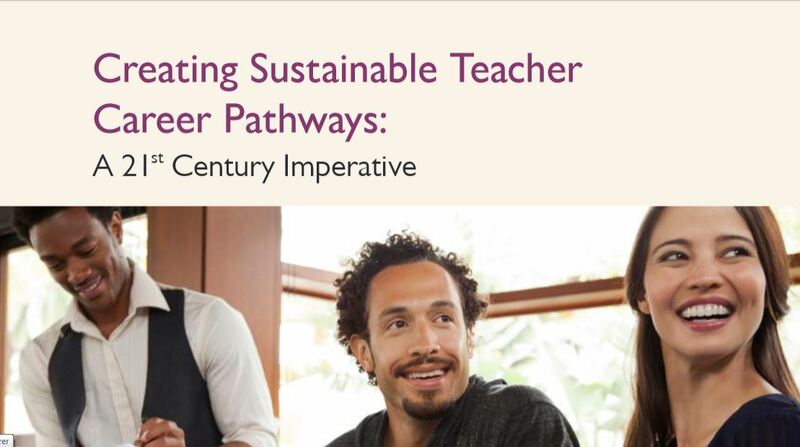 This document summarizes how lessons learned from recent initiatives can be applied more systematically across the teaching profession to meet 21st century career expectations.